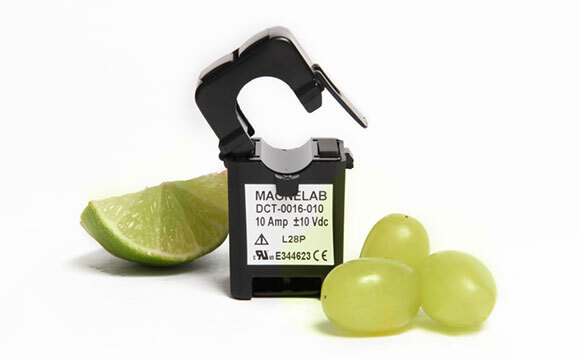 The Magnelab DCT-0016-100 is a split core current sensor with a 16mm opening. It can detect up to 10 Amps of AC current and transform it to 0-10 Vdc DC voltage output. This type of current transducer is often used in places where electrical wiring has already been installed previously. It simply snaps around the conductor itself, which is very easy to do as the AC transformer comes with a self-locking mechanism. Constructed using high quality materials, it will never break. The device comes with a 7 year warranty. The DCT-0016-10/10Vdc has a built in 15 Vdc limit, which gives it added safety. The AC transformer has full scale accuracy of 2% either up or down, and operating frequencies of 50 and 60 Hz. The accuracy on rated current is 5% to 120% with a 23 KOhms output impedance and an output ripple of 5%, up or down. Like the DCT-0036 current sensor, it comes with two M3 screw terminals. 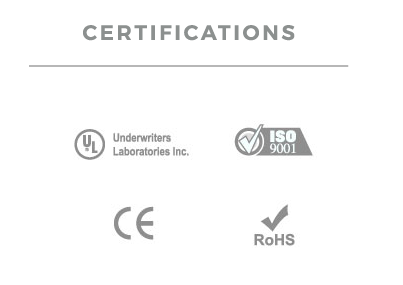 The voltage on the system is CAT III 600 VAC and it is fully UL recognized as being RoHS and CE compliant.